From all of us at the High Atlas Foundation, we extend best wishes for health and all good things. Morocco’s model for human development creates enormous possibility for our participatory approach and organic agricultural value-chain, and for the entire region. I am excited to share this letter that describes our current state of work, and our vision ahead of what we can achieve in 2015. The High Atlas Foundation also most humbly invites you to one or more symbolic tree planting ceremonies proposed for this planting season starting in January. Agriculturally, we assist communities currently in eight provinces of Morocco as they plant nurseries, secure organic certification, build cooperatives, benefit from training and create partnerships enabling processing and delivery of product to the global market. We are engaged in all aspects of the value-chain – and we can report that it works with great results. We are so very grateful to our incredible partners. 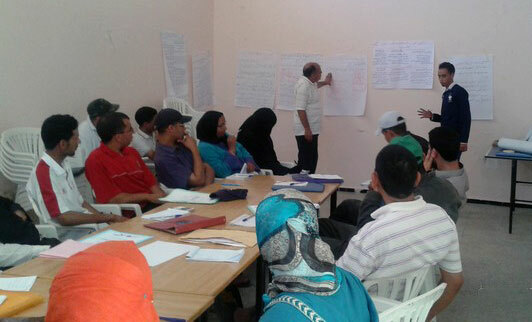 In 2014, HAF created the social enterprise High Atlas Agriculture and Artisanal, or HA3, to assist sales, return net profits as dividends to farmers and reinvest in development projects identified and managed by local communities (such as in health, education, water efficiency, and youth and women’s initiatives). The HAF-HA3 partnership amplifies the green economy that fuels participatory development. HAF entered into partnerships with the High Commission of Waters and Forests, municipalities, schools, universities, associations (including the Jewish community of Morocco), cooperatives and families – all have lent land for at least five years to establish community tree nurseries. 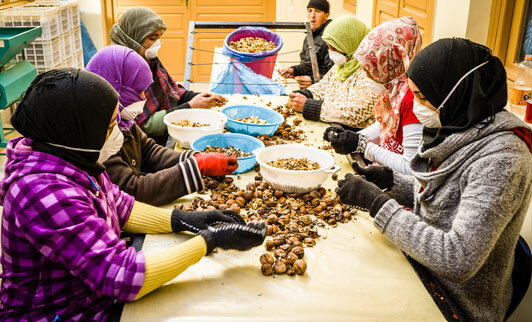 Starting from next month, we are scheduled to export to the United States 14 tons of organic certified walnuts from the High Atlas Mountains. 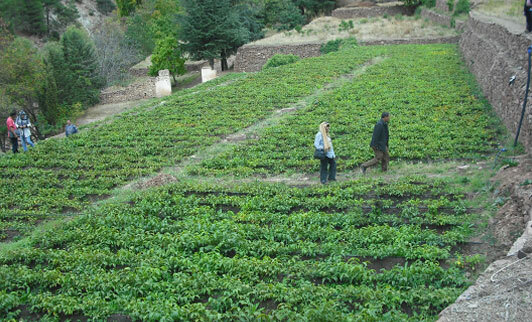 In January 2014, HAF planted its one millionth seed in Morocco. With our full value chain is in place, we may – Insha’Allah – achieve much greater scale. Funding for this initiative will create short and long-term self-reliant development for Moroccan rural families, areas where poverty is most concentrated. We could now implement with partners in 14 provinces, listed here: Azilal, Boujdour, El Haouz, Errachidia, Essaouira, Figuig, Ifrane, Khenifra, Mohammedia, Oujda, Rhamna, Taroudant, Taza, and Tetouan. In 2015, HAF and communities propose that together we plant a total of four million seeds and saplings of 12 types of fruit trees and more than 20 aromatic plant varieties – all of which may receive internationally recognized organic certification.This can be achieved at a total cost of $2.5 million, with a resulting direct impact on 200,000 rural inhabitants and an indirect one benefiting a further 40,000. 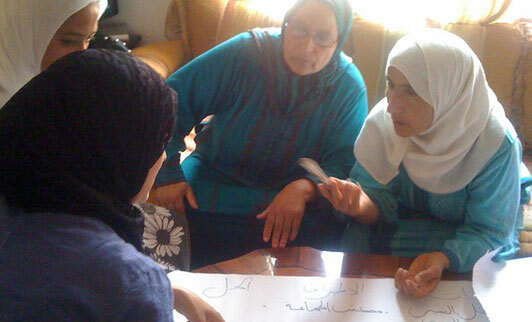 Since 2000, HAF has raised $2.5 million and has implemented multi-sectoral Moroccan human development projects. We we can achieve this amount again but in 1 year – with the culmination of every gesture of giving and the manifesting good of one tree at a time. Taza – with communities that neighbor Tazekka and youth. We hope with all our heart that we may receive your support to plant this season. Every dollar enabled HAF to plant its first million trees. Further, your presence at one or more communal ceremonies would give inspiration. PS: I’d like to quickly share some articles I wrote about human development in Morocco and in the region. I also hope to hear from you.